We all know and admire the writing of Nevil Shute. That is why we are here at this gathering to discuss and share views about many aspect of his life and work. To those of us who are engineers the mention he makes of engineering in his novels also intrigues and fascinates us. 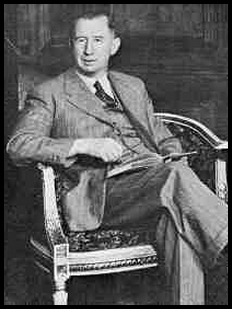 The purpose of my talk is to explore some aspects of Nevil Shute's Engineering and to set it in the context of the time he was doing it. I will try not to bore you with endless technical detail; this talk is aimed at the lay person. All I can try to do is to give you a flavour of the breadth of engineering he was involved in. The subtitle of this talk is "from the top down" and I had better explain what I mean by this. The term "engineer" is sometimes loosely used on many levels. The man who services your car might describe himself as an engineer. The man who makes parts on a machine tool is also sometimes classed as an engineer. Also the man or woman who controls and directs large projects such as, for example, the designing and building of bridges is also certainly an engineer. Shute was involved in all aspects from being Deputy Chief Engineer on the R100 airship - "the top" - to the maintenance of aircraft and taking pleasure in building proper working models - "down". His career, so far as engineering was concerned, was from the top down. At an early age he had great responsibility in the R100. The demise of this project directed a change to a management role in setting up and running Airspeed. The Second World War saw Shute involved in designing special weapons for the Navy though it is debatable whether his contribution to the war effort at the time was not better served by his writing. After the War his career lay as an author - he earned no further money in engineering. So how did he come to be an engineer ? This is well set out in "Slide Rule" As a child he had a fascination with things mechanical. How did machines work? What made them tick? Many an engineering career has begun with such childhood curiosity. After the First World War he went to Balliol College, Oxford to read engineering science. What did an engineering course in those days comprise? Well it was almost exclusively academic and the subjects that comprised the curriculum are shown in Table 1. The students did mathematics, mechanics, structures, strength of materials, electricity, some chemistry and also surveying. In those days engineering was treated as one; there were no divisions such as mechanical, electrical or civil engineering as there are today. You had a thorough grounding in engineering science, all rather academic as might be expected. This was expected to, an did, fit you for a career in any of the branches of engineering. What supplemented Shute's education was his part time vacation work with de Havillands. Here was good grounding in the practical aspects of engineering in the pioneering aviation industry. Here were practical applications - calculations to determine the strength and deflection of wooden airframes, accurate calculation of weight and determination of the centre of gravity of aircraft. The power to weight ratio for the engines of aircraft; all these and many more problems do doubt came his way. But he would also have learned from aircraft designers - how things took shape on a drawing board and how designs were translated from drawings in to reality. These were practical real aspects that engineering at Oxford didn't cover. He would also have learned no doubt about the financial and management aspects of the aviation industry, practical aspects that were to stand him in good stead when he later formed Airspeed.